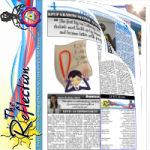 The Reflection news is a quarterly publication by High School Journalism students of San Lorenzo School. Published in english, it serves as the eyes of the truth, the knowledge of the institution, and the voice of every San Lorenzonian. Ang Aninag balita ay sangkapat na pahayagan ng mga mamamahayag sa mataas na paaralan ng San Lorenzo School. Isinulat sa wikang Filipino, ito ay nagsisilbing mata ng katotohanan, kaalaman ng institusyon, at tinig ng bawat San Lorenzonian. 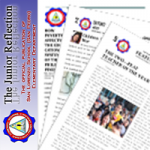 The Junior Reflection news is a quarterly publication by Elementary Journalism students of San Lorenzo School. It is the official school paper of the Elementary Department.